As part of the run up to the forthcoming European and local elections in May, 50:50 North West hosted an evening in the Sligo Yeats Building recently. 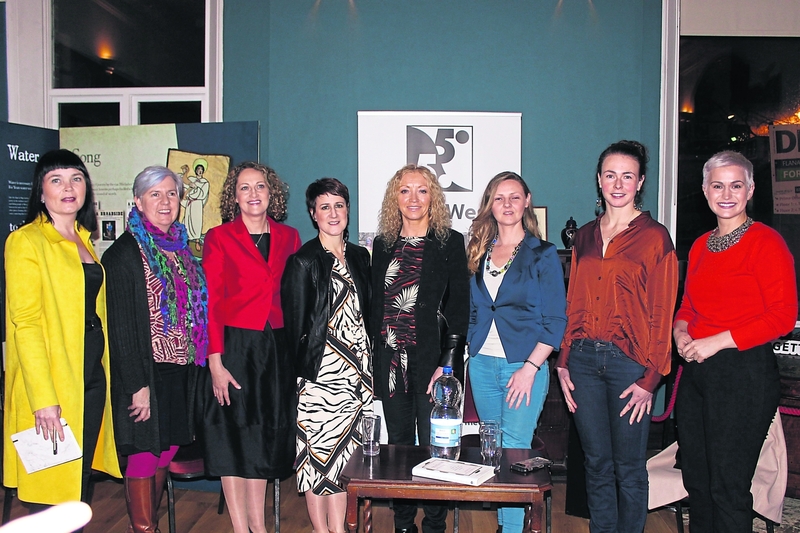 The event was hosted by Martina Fitzgerald, author of Madame Politician and political journalist, in conversation with Sligo based journalist Sorcha Crowley. The focus was on women and their experience of engagement and representation in politics in Ireland, drawing on extensive interviews conducted by Martina with Irish female ministers, and her experience as an RTE political correspondent. Among the challenges still facing Irish female politicians in breaking into and claiming their place in Irish national and local government, the pressure of childcare, and women’s own struggle with confidence emerged as common strong themes. It was noted that progress, albeit slow and gradual, has been made over the years. At least there are toilets for women TDs in the Dáil now, and the risk of having your bra strap pulled by Charles Haughey, or being told to go back to your knitting has receded. As the number of women politicians increase, the culture does shift. Along with the increase in numbers of elected female TDs and ministers, the number of women in political journalism, working as researchers, political advisors and aides, continues to increase. Joining the conversation were candidates for the European and local government elections in May, including Maria Walsh (FG) and Saoirse McHugh (Green) along with local candidates Marie Casserly (IND), Sinead Maguire (FG), Amanda Gallagher (IND) in Sligo and Blaithin Gallagher (Green) in Leitrim.